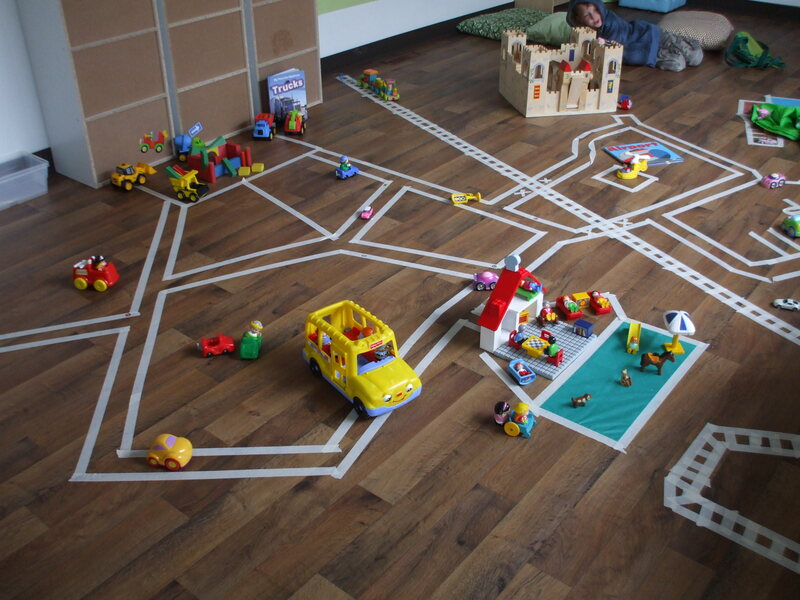 We had a transporation week at CFY in the playroom and the kids loved the home made car mat we stuck right to our floor. All it took was a cheap roll of masking tape and some dinky cars and little peoples sets. We used really anything we already had and it was like new to the kids check it out and make your very over car track!